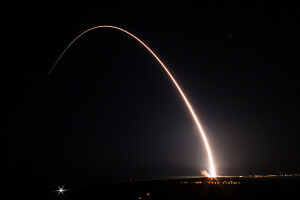 Space enables everything the joint force does and the national security space architecture must protect and defend that capability in a contested environment, officials from the Air Force, the intelligence community and the Defense Department told a House panel in recent testimony. Air Force Gen. John Raymond, commander of Air Force Space Command and Air Force Lt. Gen. David Buck, commander of the Joint Functional Component-Space for the U.S. Strategic Command testified last week before the House Armed Services Committee on priorities and posture of the national security space enterprise for fiscal year 2018. Joining Raymond and Buck were Betty Sapp, director of the National Reconnaissance Office, Robert Cardillo, director of the National Geospatial-Intelligence Agency, and John Hill, performing the duties of deputy assistant secretary of defense for space policy. Space is a warfighting domain just like air, land and sea, he added, and potential adversaries are developing capabilities to deny the United States access to and benefits of the space domain. 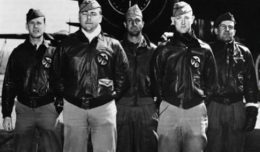 — Continue to professionally develop Air Force Space Command airmen. 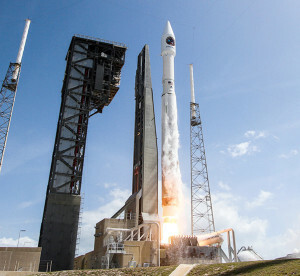 Buck said in his remarks that an overhaul is needed for the national security space architecture to guarantee freedoms in, through and from space. “This is a challenge because our national security space architecture and processes were largely conceived to provide services or commodities during an era when our most significant coal orbital threat was debris,” he told the panel. — Continue to push fielding capabilities on operationally relevant timelines. In her testimony, Sapp said NRO develops, acquires, launches and operates the nation’s overhead intelligence, surveillance and reconnaissance architecture. “We are the foundation of U.S. global situational awareness,” she said, “and we contribute to global intelligence and military and Homeland Security operations” while helping form national policy and achieve diplomatic goals. The Air Force successfully launched the ninth Boeing-built Wideband Global SATCOM satellite aboard a United Launch Alliance Delta IV Evolved Expendable Launch Vehicle from Space Launch Complex 37B, Cape Canaveral Air Force Station, Florida, March 18, 2017.WGS satellites play an integral part in the strategic and tactical coordination of military operations. With this launch, WGS-9 will significantly enhance the WGS constellation by providing increased communication capacity and coverage. But staying ahead of adversaries who threaten U.S. space capabilities is a challenge, Sapp said, noting that adversaries are making space a priority and the United States is not keeping pace. “I believe we have not made the investment that would indicate space is a priority or fundamental to the U.S.,” she said. In his remarks, Cardillo said NGA is the main provider of geospatial intelligence, or GEOINT, for the Defense Department and the intelligence community. His agency’s support to military services, combatant commands and warfighters includes safe navigation, precise targeting, disaster recovery and tailored intelligence support, among others. Getting to that point, Cardillo added, will require significant investments in IT architecture and research and development. Also, he said, conservative estimates over the next 10 years predict that more than 9,000 commercial satellites will be launched, compared to fewer than 1,500 in the last 10 years. Accordingly, he added, NGA and NRO will partner to engage with the most mature of the new commercial space providers via commercial GEOINT activity. “Through it,” Cardillo said, “we will identify and evaluate emerging commercial GEOINT data and services against those needs that we capture and maintain. Diplomatic solutions remain the preferred option to settling national differences, he said, but U.S. space posture underwrites deterrence by enabling the military to globally project power, rapidly respond to crises, swiftly and precisely strike and simultaneously command forces in multiple theaters.